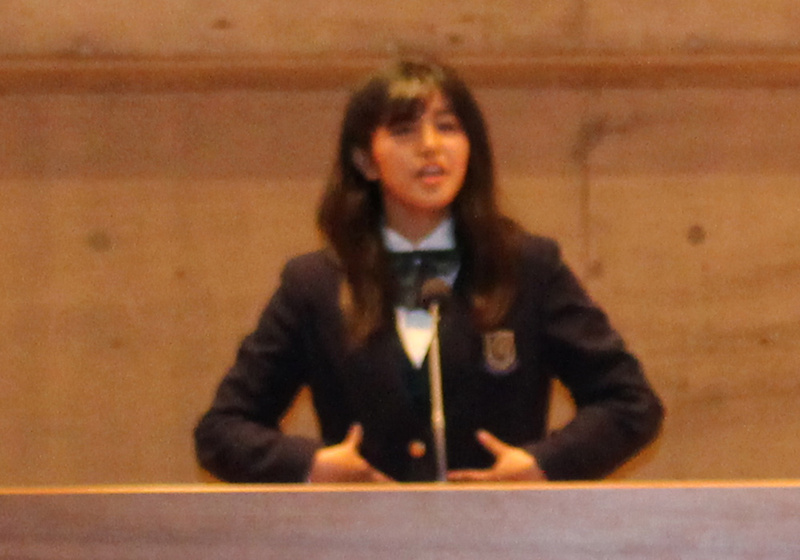 Today was the speech contest for Yamamura Kokusai High School. The students tried very hard and they did a great job! 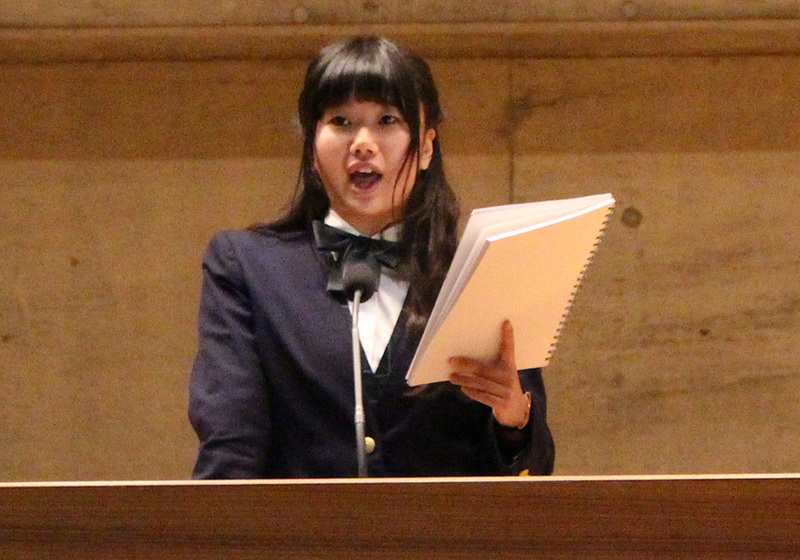 They spoke in big voices with good gestures about many different topics. For example, puppies and kittens in pet shops, the importance of speaking English, the danger of animal fur in clothes, and the importance of table manners. 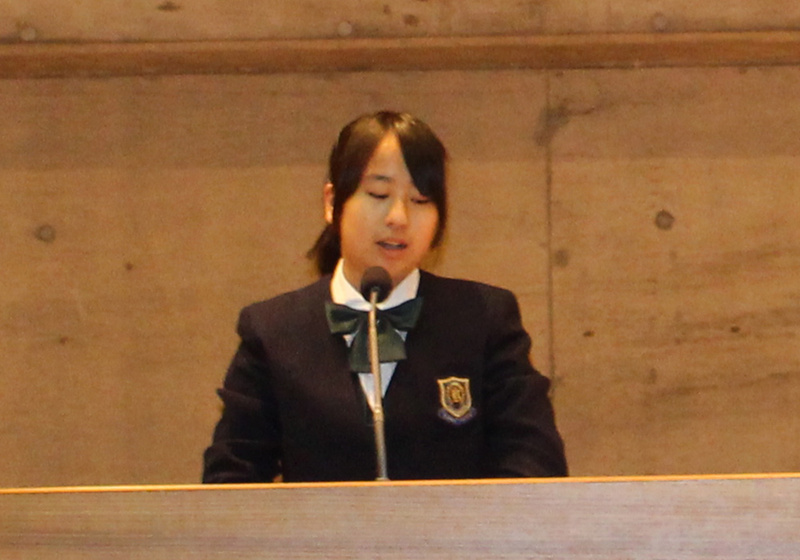 All of the topics were very interesting, and all of the students spoke in very good English. It was very easy to understand their words and their ideas. The teachers are very happy with their work! 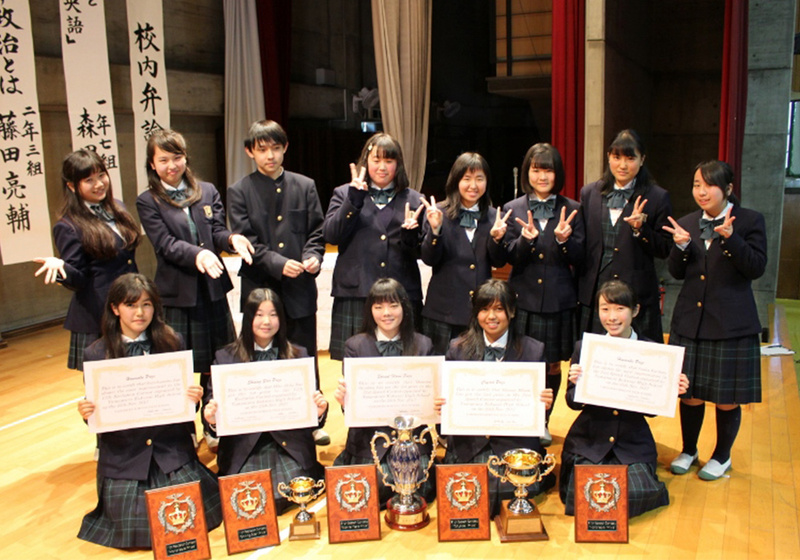 Six students tried the English recitation competition, and seven students tried the English speech contest. 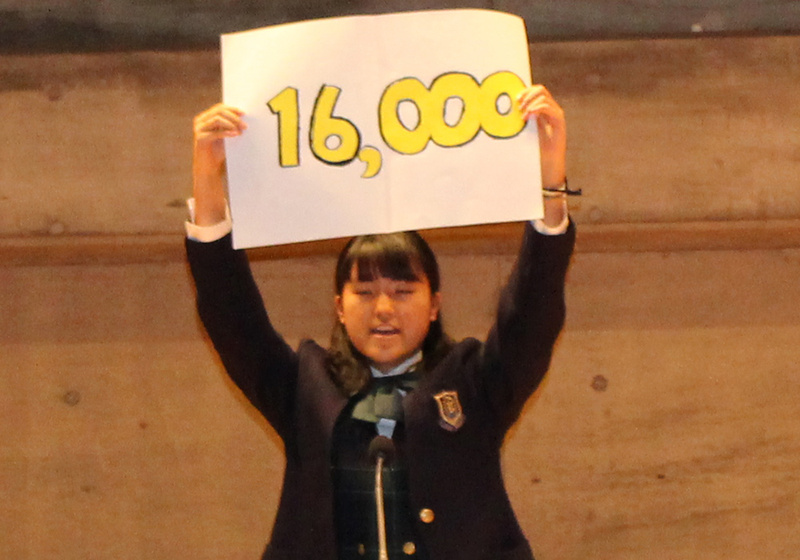 Five students won prizes. All of the students worked very hard, and practiced every day. In the beginning of practice, all of them were very nervous. 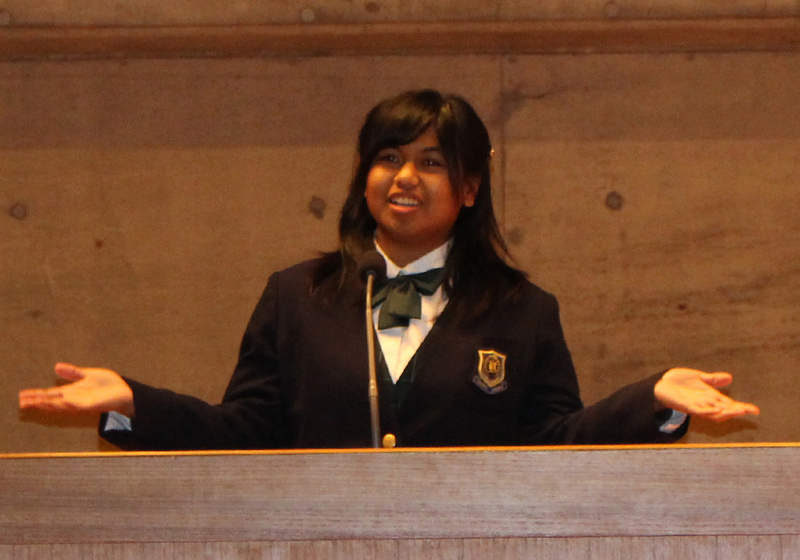 Standing up and speaking in front of 850 students is a little scary. However, they practiced hard and listened to the teachers’ advice. 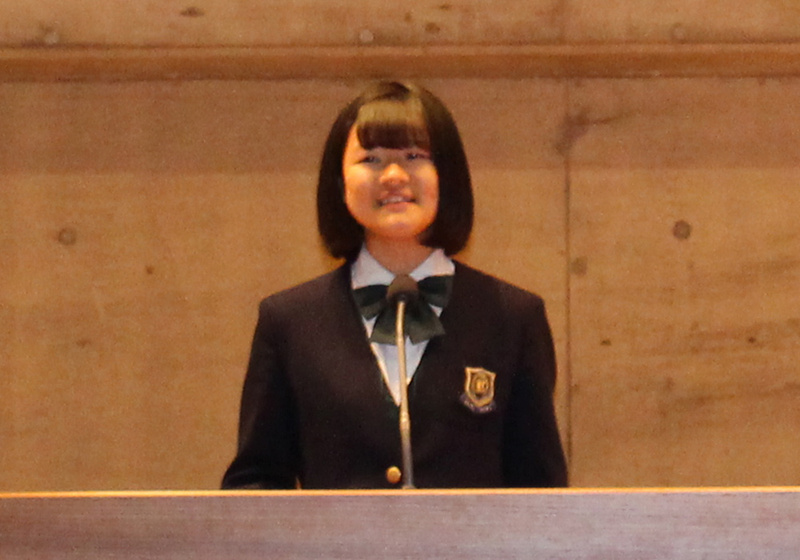 Slowly, they became more confident and their speeches became very strong. Speaking slowly is important for speeches. It makes it easier to understand the key points. They also used great gestures to make their English stronger. Intonation and rhythm are also very important to stress key words and ideas. The students practiced all of these things so they did a great job and everyone was very happy. 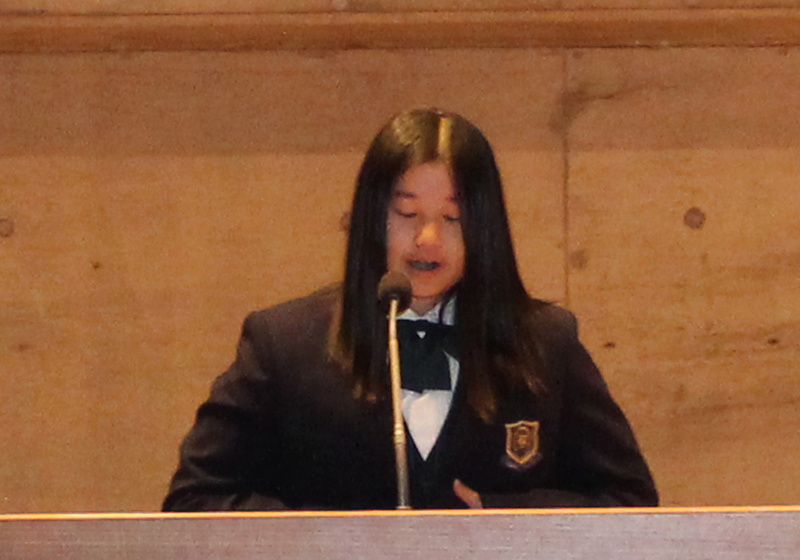 Giving speeches and talking to a large number of people are very good skills to have. It is great practice for them before university and getting a job. It was difficult to choose the winners because everyone was so good! The staff and classmates are very proud of these students’ achievement. Everyone worked so hard and did so well. This was the best competition so far! However, next year we hope the students will be even better. We are very proud of their work and effort so far. If we keep trying to improve, the students will become super English speakers in the future. They will be able to use English really easily. Thank you again to the students. Super job and we are looking forward to 2018!